Colored jeans are great, but I haven’t found a pair more festive than this velveteen set by Vineyard Vines! The moment I came across them, I knew I’d met a new favorite I’ll have around for Christmases to come. Due to the skinny-jean cut, they’re easy to style, too! I paired them with this gorgeous cashmere button down and my favorite holiday heels for a party-ready look. I think they’d also be darling with these festive ballet flats and this blazer… an ensemble you could wear all throughout January and February. 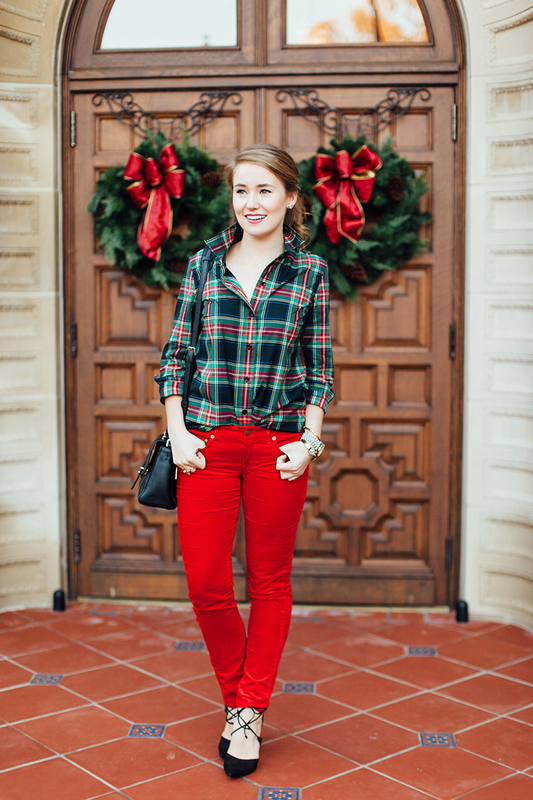 Just for fun, I’ve rounded up a few more sets of fun, festive pants below. I hope everyone is getting in the Christmas spirit! How’s Christmas shopping going? Working on a few more gift guides for you procrastinators out there like me. :) Thanks for stopping by! 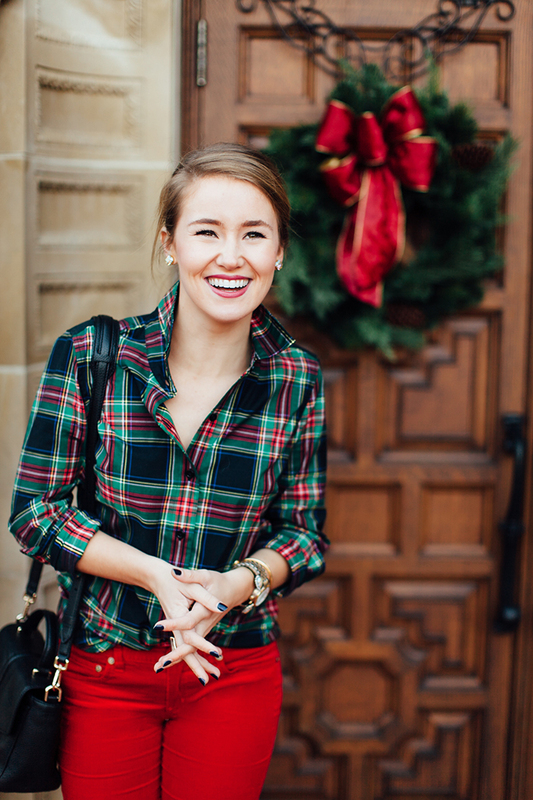 Such a perfect holiday outfit and your photo shoot location could not be more perfect! Love your shoes! 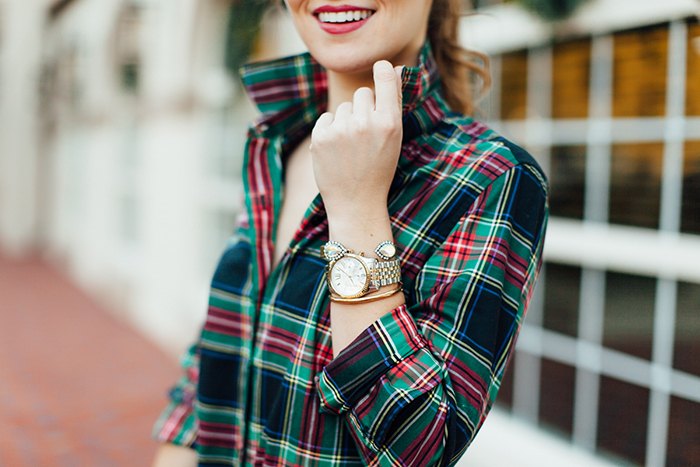 I LOVE the velvet paired with plaid here. Stunning! Ahhhh everything about this is sheer perfection!! I love how you popped the collar too. So preppy. 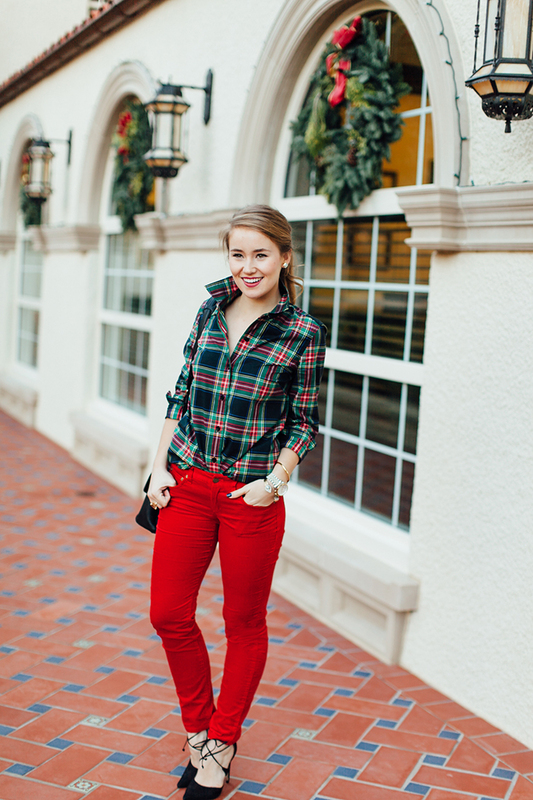 This is such a fun holiday outfit! 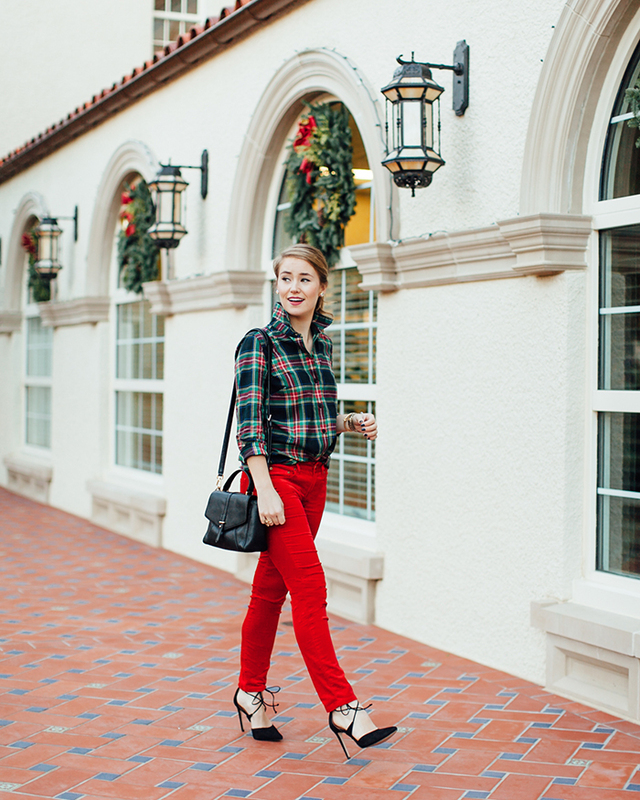 I wouldn’t have any idea how to style red velvet pants, but you have your outfit on point! Obsessed with this holiday look, Kate! It’s adorable and chic at the same time. And those velvet pants!!! In love. These pants look great. I might also like/want a deep purple berry-colored pair! What lipstick are you wearing? It’s gorgeous!!! I LOVE this outfit, Kate! Perfect for Christmas! Kate! I LOVE this outfit! I remember you talking about it in your video. You’re right — the pants and the shirt do look great together! Kate this is a fabulous look! I love al the christmas colours and the shoes are killer! Hello Kate! 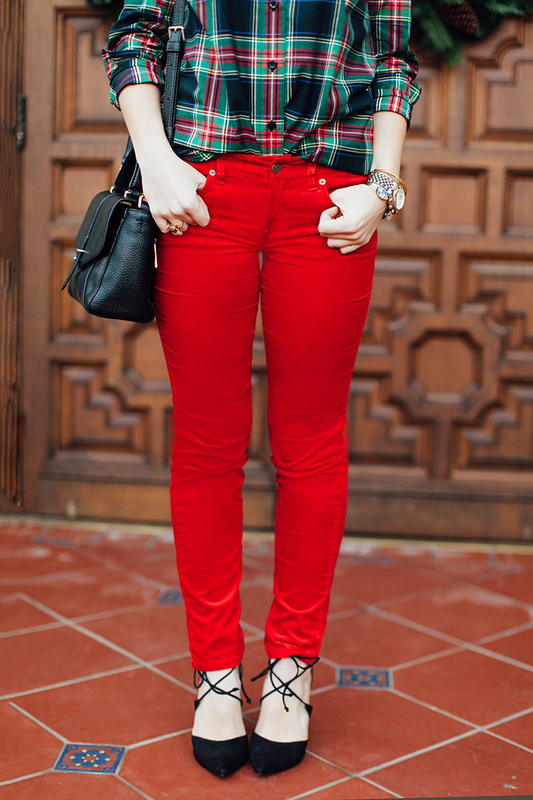 I love this outfit I am a big fan of plaid shirts and red pants. I also enjoy reading your posts.